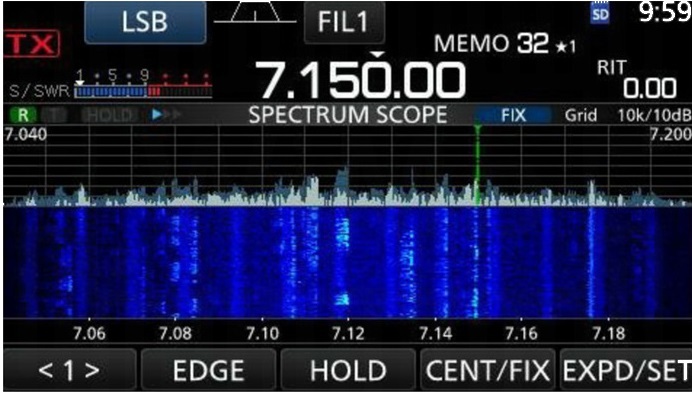 The IC-7300 is the first true SDR (Software Defined Radio) transceiver manufactured by one of the three large japanese amateur radio suppliers. It's main property is that the HF is converted to the digital domain right after the bandfilter. Instead of mixing the signal down to a lower frequency, as it is done with traditional receivers, a fast analog/digital converter is used to immediately digitze the RF signal. In the next step a fast and specialised logic circuit (FPGA) processes the signal (filtering) and sends it on to the audio circuitry. These are the defining components of an SDR: the ADC, the FPGA and of course the software used. The transmit path is similarly constructed: the modulation is digitised, processed by a DSP and the FPGA in the numerical realm, then transformed to the analog world, filtered and amplified. This results in spectrally very clean signals and excellent values for phase noise. 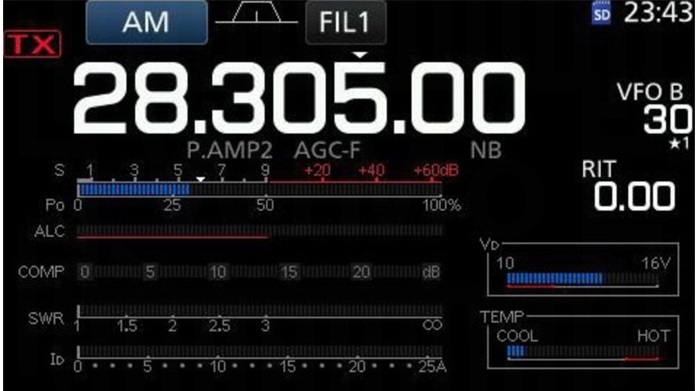 The transmitter of th IC-7300 offers 100W transmit power and is equipped with an automatic antenna tuner. 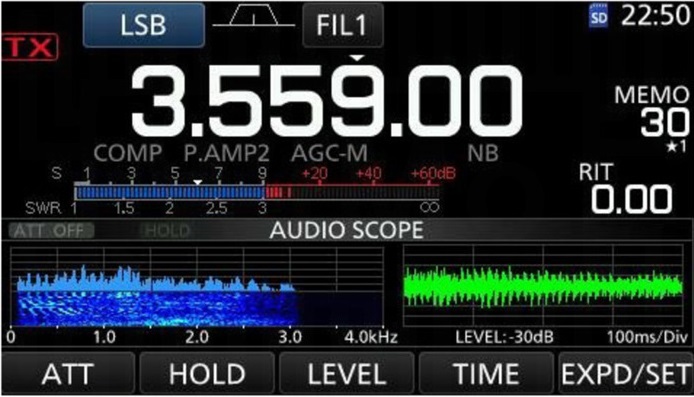 The most noticeable item in the IC-7300 transceiver is of course the large and crisp colour LC display. This display is a control at the same time, because it is a touch panel. Just with modern mobile phones you can use your finger to touch items and change settings. The powerful electronics supports a continously updated (live) waterfall display during reception, with variable speed. The high resolution display with a 4.3" diagonal size (approx. 11cm) not only shows the operating frequency, but also the mode and the S-meter, the clock and of course the waterfall. The spectrum width can be set between 5 and 1000 kHz width. With the touch of a finger you get a magnifiying function of the frequency in question, with the next tap you tune very precisely to that frequency. This helps to get a quick overview of the entire band or band segment, whether in a contest or when chasing that rare DX. The receiver utilizes 15 automatically switched bandfilters in front of the AD converter, resulting in an excellent pre selection. To reduce losses in the bandfilters, high-Q inductivities are used. With the filter the AD chip is only supplied with the signals which are of interest, signals outside the passband are cut off. The results in a much better dynamic range of the AD converter, at 97dB the RMDR is 15dB better than in earlier traditional designs. 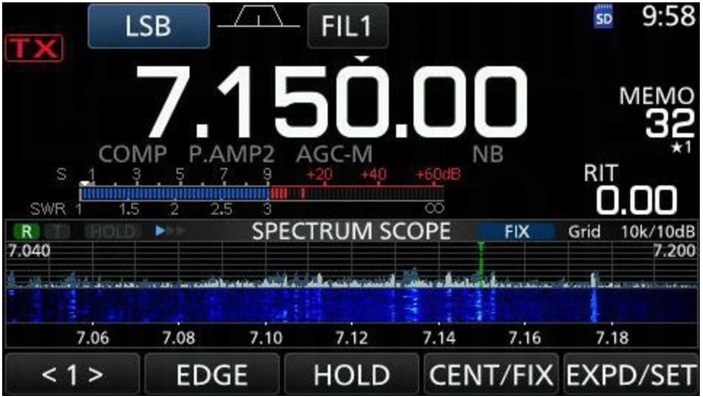 The IC-7300 transceiver is rounded of with a lot of features for comfort and easy use. The 101 memories can be listed, programmed and organized with the help of the large touch display. 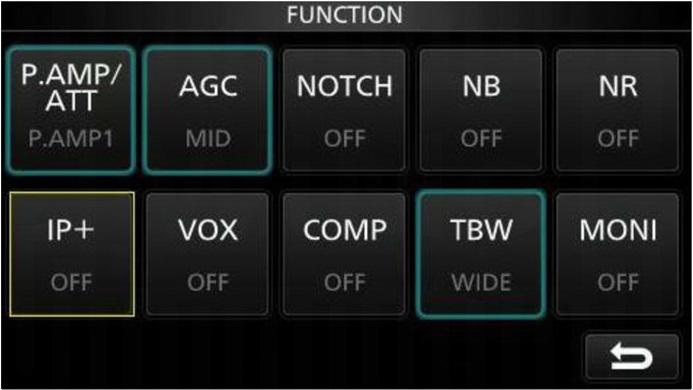 The audioo scope function shows the modulation characzeristics and the filter settings. 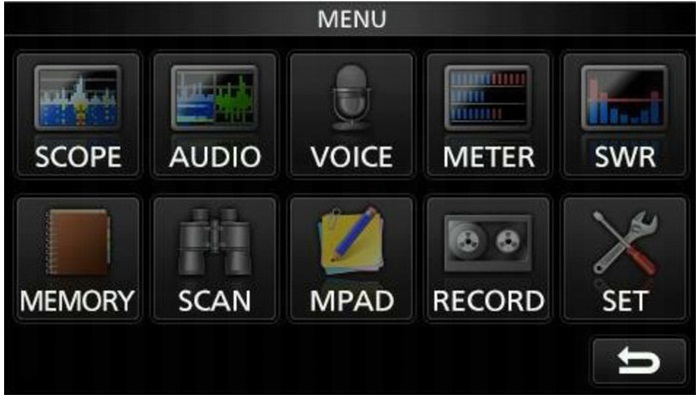 All settings and memoriues can be stored on a removeable SD card for easier management. The connections on the rear of the IC-7300 are the same as the ACC accessory sockets standardised since many years on all Icom desktop transceivers, allowing the continued use of existing options and accesories. A USB socket offer stae-of-the-art conenction for a computer for CAT control and audio handling. 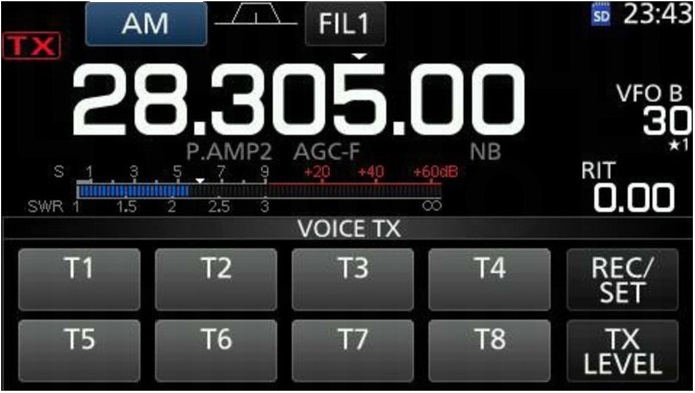 Even the widely used RS-BA1 remote control software can be used with this shortwave transceiver. Included in the shipment is the newly designed HM219 hand microphone. 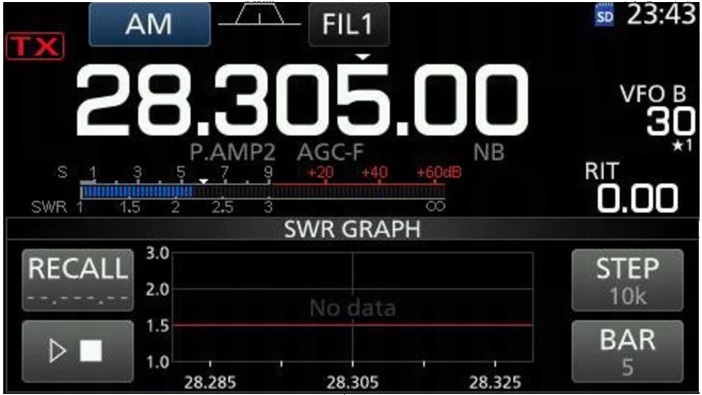 The Icom IC-7300 is expected to by shipped in April 2016 by Icom Europe. We will ship in the sequence of order reception.